Maximum working pressure: 700 bar. WA series pumps are for use with Single-acting cylinders. 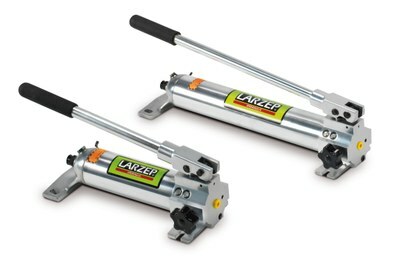 Lightweight aluminium pumps, ideal for easy portability and handling. Two speed models, provide rapid cylinder advance until contact is made with the load. Hydraulic outlet port: 3/8″ – NPT female. Fitted with external safety valves to prevent over-pressure. Fitted with handle clips for easy of carrying.